Head on over here to request your FREE sample of Post-it Super Sticky Notes! https://i1.wp.com/savvywifehappylife.com/wp-content/uploads/2011/07/coupons.jpg?fit=425%2C282&ssl=1 282 425 Brandi https://savvywifehappylife.com/wp-content/uploads/2016/09/SavvyWifeHappyLife-logo-2.png Brandi2011-07-31 20:25:402011-07-31 20:25:40Last Call to Print those Coupons! This coupon is still available, so grab it before it’s gone! Head on over here to print this *Hot* coupon for $1/1 Reach, which will score you FREE Floss! Amazon: Apple Peeler, Corer and Slicer only $11.81! Amazon has the Pinzon Apple and Potato Peeler, Corer, and Slicer marked down to $11.81! This is originally $30 and will not last long, so get to it if you’re interested. 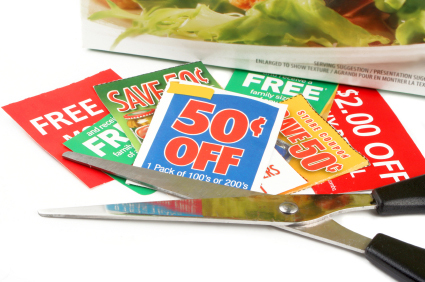 Don’t forget to use your Amazon gift cards from Swagbucks to score a better deal! 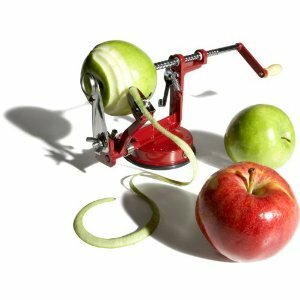 https://i0.wp.com/savvywifehappylife.com/wp-content/uploads/2011/07/apple-peeler.jpg?fit=300%2C300&ssl=1 300 300 Brandi https://savvywifehappylife.com/wp-content/uploads/2016/09/SavvyWifeHappyLife-logo-2.png Brandi2011-07-31 15:18:002011-07-31 15:18:00Amazon: Apple Peeler, Corer and Slicer only $11.81! This was going to be the week where I shared pictures of a bunch of ripe tomatoes, but unfortunately that will not be the case! And of course, Little Lu was sympathetic and cuddly. REMINDER! Only 1 more day! I’ve mentioned MyHabit many times before, but they recently released a new code that will score you $25 off your purchase (no minimum)! There were plenty of good things priced at $25 or less yesterday, but because of my lack of internet at the beach, I couldn’t alert y’all. So this is your warning because things sell out FAST! Every day at Noon EST, MyHabit opens up a few new deals. Use coupon code SUMMER25 at checkout to score a freebie! Shipping is free and Amazon credit and gift cards from Swagbucks can be used as well. Free Nursery Water Bag -NOON EST -First 100! This freebie has been around for awhile, but it goes so quickily every day and I want to make sure y’all get a chance to get one. 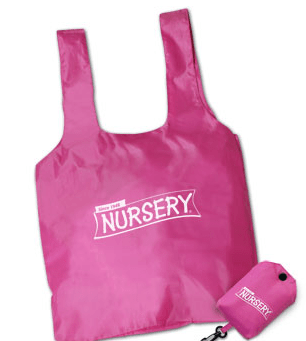 Head on over here at NOON EST sharp to request a FREE reusable bag from Nursery Water. They will be gone within minutes, but check back tomorrow if you miss it. NOTE: If you are viewing it before 12 noon – the counter above will say “0 bags”. Check back at 12 noon EST when the counter resets. https://savvywifehappylife.com/wp-content/uploads/2016/09/SavvyWifeHappyLife-logo-2.png 0 0 Brandi https://savvywifehappylife.com/wp-content/uploads/2016/09/SavvyWifeHappyLife-logo-2.png Brandi2011-07-31 11:34:342011-07-31 13:31:41Free Nursery Water Bag -NOON EST -First 100! Local Readers: $15 for a $30 Voucher to The Cottage = Cheap Vera Bradley! This deal is perfect for me and other local readers out there! 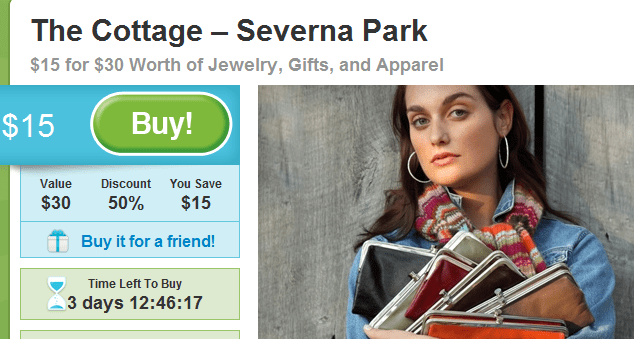 Today, Groupon is offering a $30 voucher to The Cottage in Severna Park for only $15! That’s a lovely savings of 50% on all the latest finds in jewelry, gifts, and apparel. You can go here to get the voucher. If it doesn’t show up right away, check under Baltimore deals. Here’s the wristlet I purchased last year (with a coupon at least!) and this shows why I am buying a new one before school starts! https://i2.wp.com/savvywifehappylife.com/wp-content/uploads/2011/07/the-cottage.png?fit=634%2C339&ssl=1 339 634 Brandi https://savvywifehappylife.com/wp-content/uploads/2016/09/SavvyWifeHappyLife-logo-2.png Brandi2011-07-31 11:20:162011-07-31 19:58:31Local Readers: $15 for a $30 Voucher to The Cottage = Cheap Vera Bradley! New RedPlum Coupons are up! 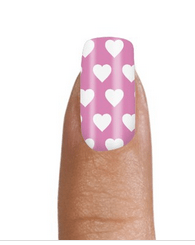 https://i2.wp.com/savvywifehappylife.com/wp-content/uploads/2011/07/sally-hansen-nail-coupon.png?fit=395%2C217&ssl=1 217 395 Brandi https://savvywifehappylife.com/wp-content/uploads/2016/09/SavvyWifeHappyLife-logo-2.png Brandi2011-07-31 09:45:262011-07-31 09:45:26New RedPlum Coupons are up! SaveMore: FREE Set of Nail Strips + Free Shipping (New Members) -Reminder! New members to Savemore can still score that $10 credit, which makes today’s deal to Fabulous Nails -FREE! Go ahead and sign up for SaveMore here. You should see the deal for $6 for $12 (1 set) of Nail Strips from Fabulous Nails. With your $10 sign up credit, they will be free! Free Shipping is also included. After you “buy” the voucher, sit tight until it’s ready to be used on the nail site. These mail great stocking stuffers btw! https://savvywifehappylife.com/wp-content/uploads/2016/09/SavvyWifeHappyLife-logo-2.png 0 0 Brandi https://savvywifehappylife.com/wp-content/uploads/2016/09/SavvyWifeHappyLife-logo-2.png Brandi2011-07-30 23:08:012011-07-30 23:08:01SaveMore: FREE Set of Nail Strips + Free Shipping (New Members) -Reminder!